You are more likely to see feral rabbits than domestic cats wandering outside in Calgary. 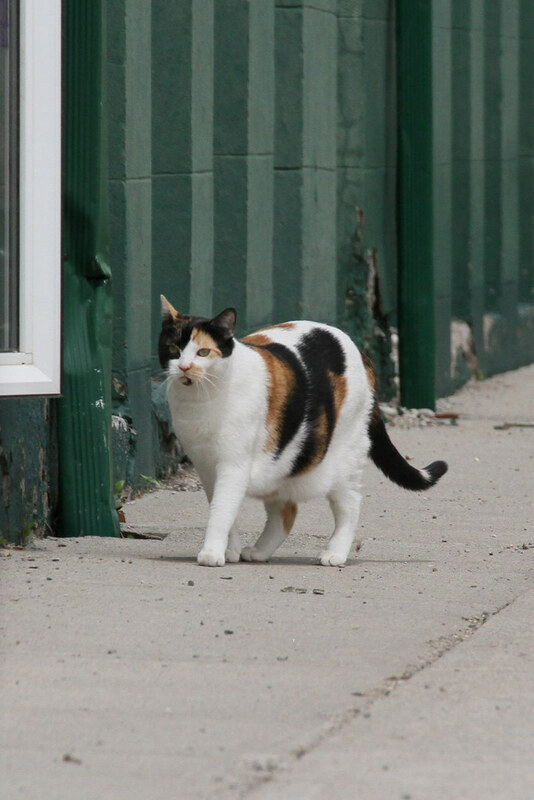 Here’s a relatively rare feline sighting in Calgary’s Inglewood neighbourhood back in June. This fella was popping in and out (at will, it seemed) through the window of a ground-floor apartment.